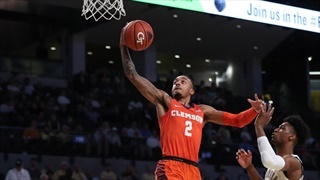 The Tigers are 6-3 in ACC play for the ninth time in school history. Tonight's game was easily their biggest of the year and they rose to the occasion. 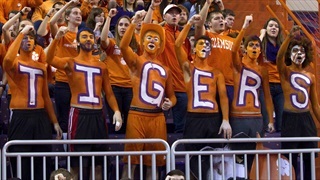 The last time the Tigers were a ranked team on the road at Georgia Tech, the Tigers won 81-73 on Feb. 22, 2009. 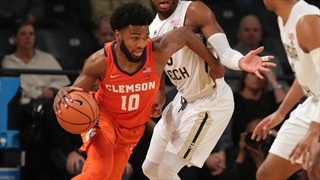 Clemson basketball travels to Georgia Tech Sunday afternoon in its first back-to-back road game trip of the season. 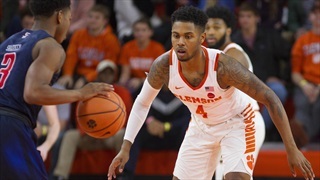 It’ll be the first time Clemson plays two games on the road in a row since February of last year.